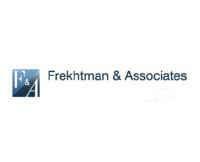 At the New York law firm of Frekhtman & Associates, our highly respected attorneys, Arkady Frekhtman and Richard Mogg, have worked together since 1999 to help clients from throughout New York City pursue personal injury and wrongful death compensation. Today, our services are more accessible than ever thanks to our firm's expansion. We now have five office locations, including our law office in the Bronx's Bedford Park neighborhood, which is convenient for the residents of the Bronx and New York's northern suburbs in Westchester County. If you or someone you love sustained injuries because of someone else's carelessness, you may be eligible to pursue compensation for your injuries or loss, and the attorney at the law firm of Frekhtman & Associates can help you do so. If you would like to discuss your case and determine your eligibility, you can do so by scheduling a free initial consultation at our law office in the Bronx.